On the Tadpole Playground in Boston Common, a mass of rambunctious, chatty, and excited kids have gathered. 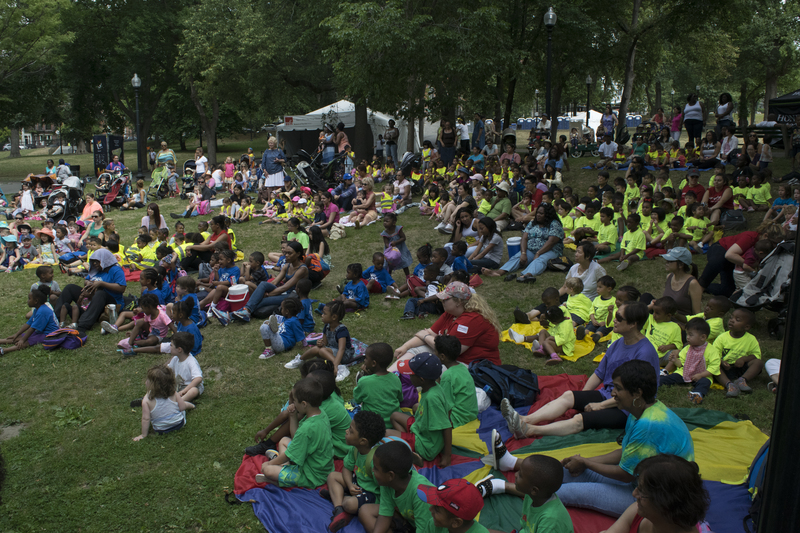 There are over 600 kids in attendance – a small event for the Tadpole where the Storymobile can attract upwards of 1,000 attendees. Why are they here? Why are they so excited? Anyone might be suspicious that books or stories could wrestle the attention of a sea of pre-schoolers crowded around an outdoor playground. But storyteller Tony Toledo removes those doubts. In long, flowing hair and floral Hawaiian shirt, he stands poised before a microphone at the bottom of the park’s grassy slope – a natural amphitheater whose trees provide cool shelter from the hot July morning. The kids are arranged by group, each designated with the vibrant color of a camp or program. One little girl looks absentmindedly at the pond, until Tony Toledo takes the mike. A call and response brings everyone (kids, parents, camp counselors, passersby) to life and their focus to him, including the distracted girl. “Story time!” the crowd responds, the little voices of the children coming together. Then Tony begins his story, performing the “Coyote Song” from memory. Tony yelps whenever the coyote has his tail stepped on – the coyote’s true song – and it elicits an infectious laughter from the crowd. Tony tells a few more stories, each unique and with a seemingly different message hidden among the laughter: find your own way, don’t be afraid of the dark, think and act creatively. 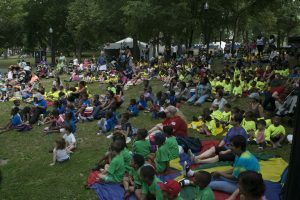 Storymobile events aren’t simply about gathering and entertaining children; instead, the program aims to inspire kids to be creative and imagine. That mindset is the bridge to literacy, which the program promotes by giving books to every child who attends. 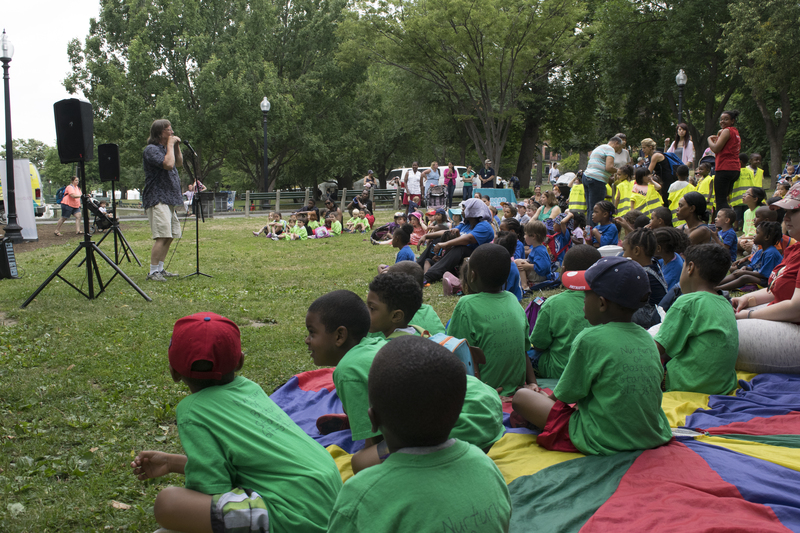 “[The Storymobile] provides high quality literacy programming to low-income children throughout Boston in the summer, when children are most at risk,” says Katie Sullivan, who oversees ReadBoston’s Storymobile program. The Storymobile team is working to ensure that low-income children have a chance to read in the summer and keep up with their counterparts once school begins again in the fall. They also make it fun. This blog post was contributed by OWD summer intern Nick Zaffiro.